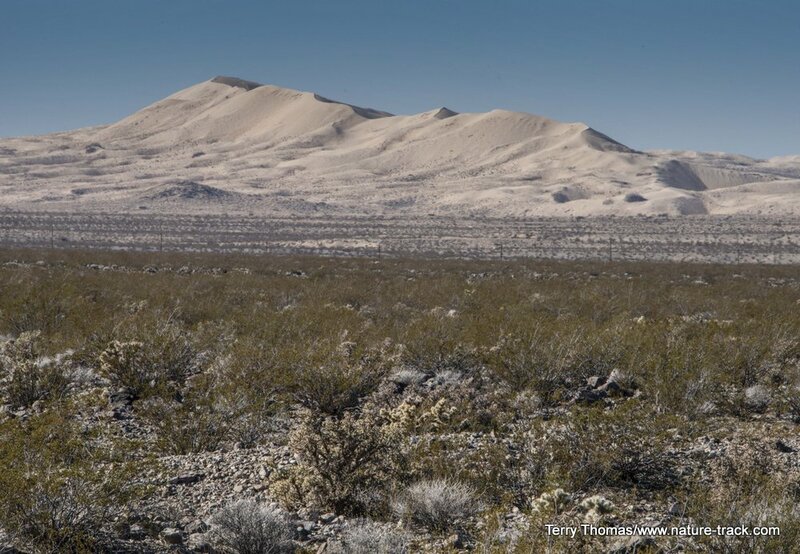 The Mojave Desert, the smallest of the American West deserts, is still huge. It extends from extreme southern Utah into Nevada and all the way down to southern California. 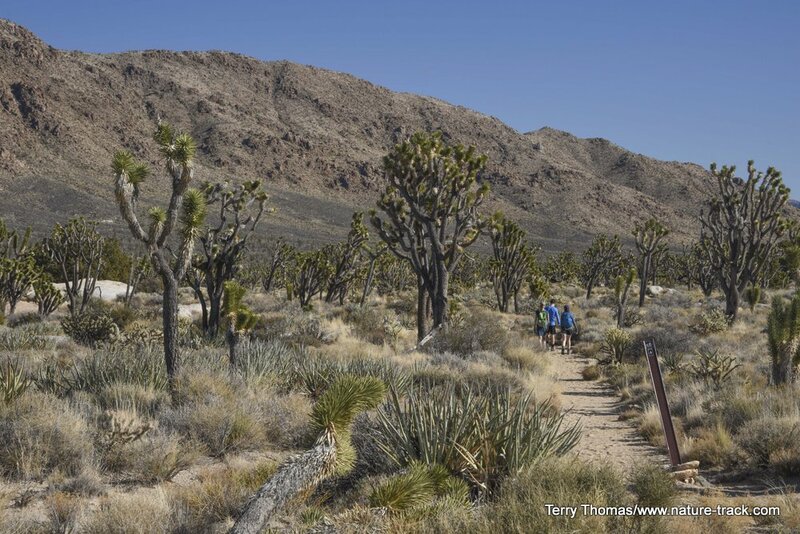 It is a fascinating desert with the Joshua Tree (a yucca) as its iconic plant. 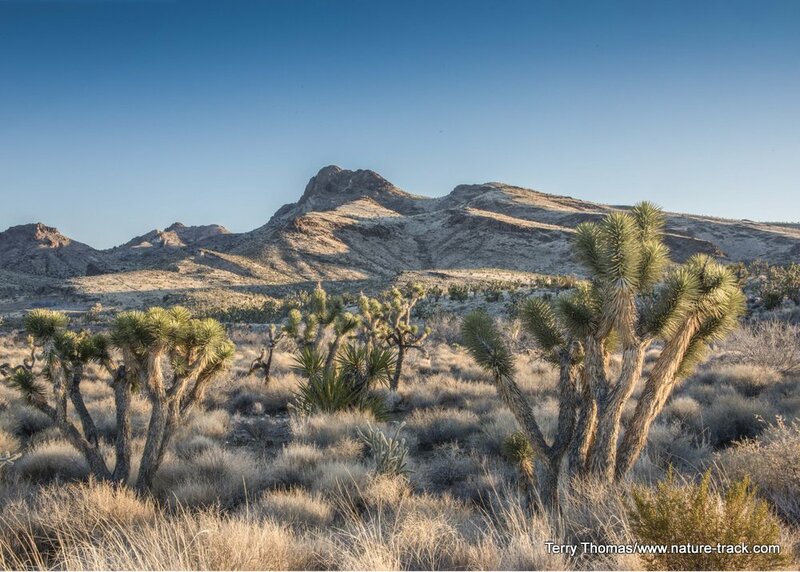 Just on the California side of the line, between Searchlight and Laughlin, Nevada and Baker and Barstow, California, lies the Mojave National Preserve, about 1.5 million acres of incredible country. We spent a day there several weeks ago (mid-January) and were thoroughly impressed. 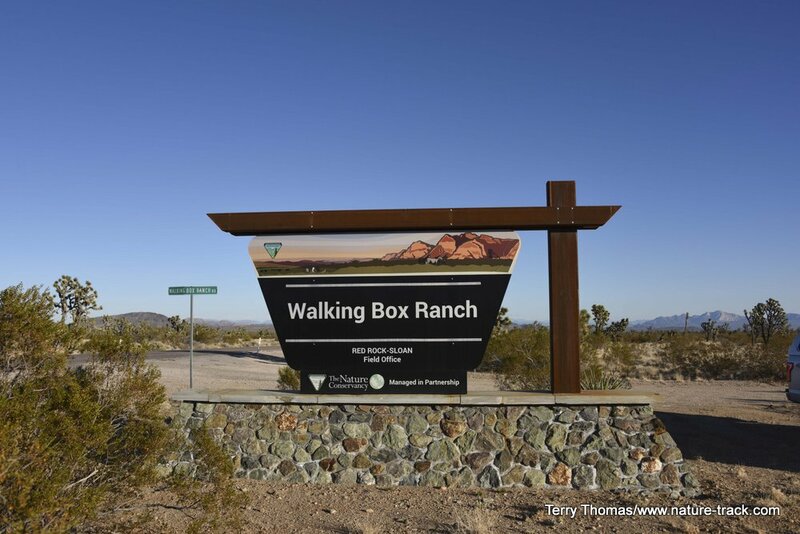 This preserve, managed by the National Park Service and includes wilderness, a national monument (Castle Mountains National Monument), a California state park (Mitchell Caverns), two campgrounds and part of the Great Basin and Sonoran deserts. It has some of the nation’s largest sand dunes, an historic railway depot, the world’s largest Joshua Tree forest and incredible scenery. What you won’t find is cell phone service, food service, water, or vehicle repair centers. There is a good highway, but services, once you enter the area, are almost non-existent. You are on your own so be prepared. Kelso Dunes. 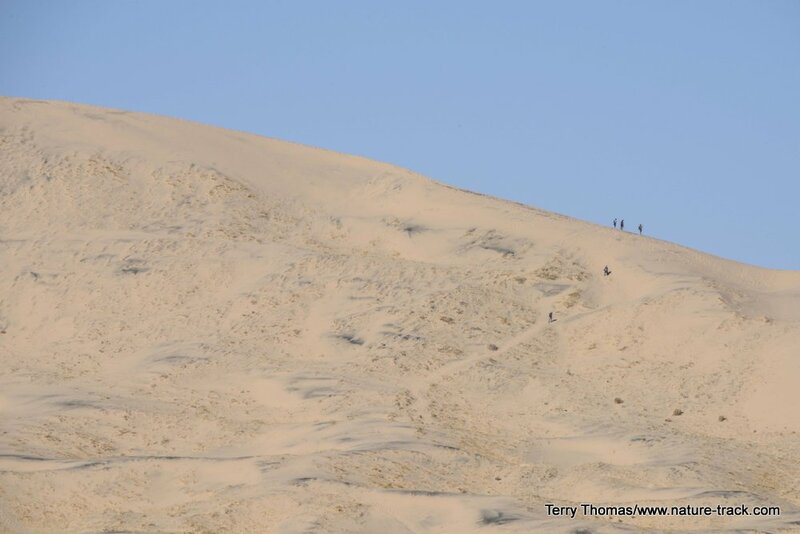 These dunes are over 600 feet tall and cover over 45 square miles. They are beautiful and there is a trail of several miles to the top. As expected, it is sandy and loose substrate that makes for energy-sucking travel. These dunes are also “singing dunes”, so named because they make eerie noises when the sand slides downhill. Besides the sand dunes, this area is incredibly diverse geologically and they have a good virtual geology tour you can take on their website. Teutonia Peak Trail. We hiked this trail for about a mile to the base of the ridge. We wanted to see the mines there but they turned out to be unimpressive. The hike though was nice, through some of the best Joshua trees around. Kelso. 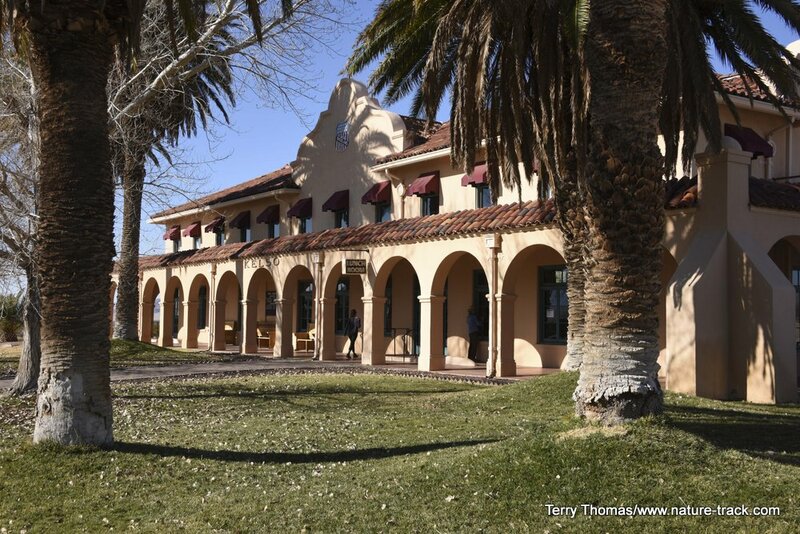 This is where the main visitor center and the historic train station are (they are one and the same). Had we been able to go inside, it would have been worthwhile. 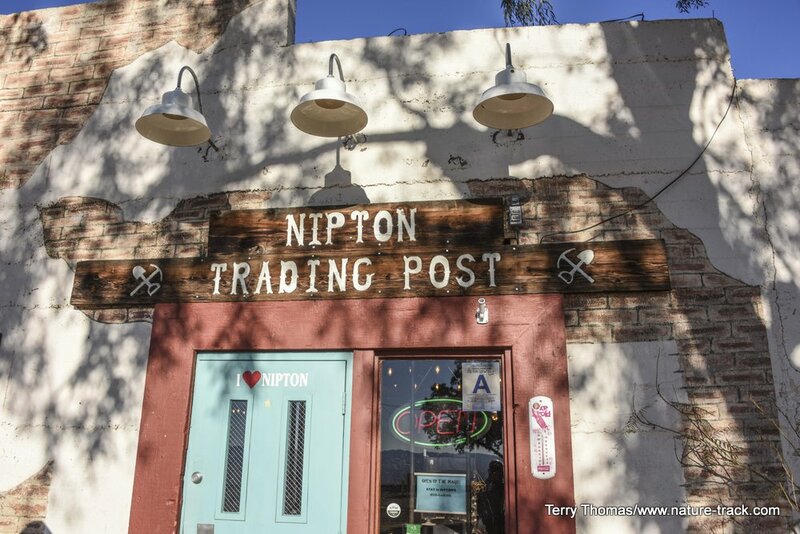 Nipton, California. This tiny little berg is on the outskirts of the Preserve. You can buy gas, eat a meal and browse through a cool old store. 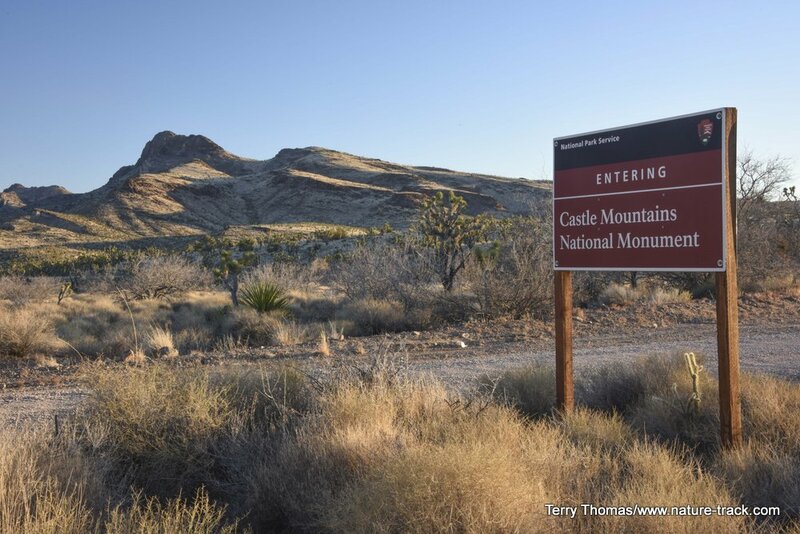 Castle Mountains National Monument. Although it is possible to get to this monument from Nipton, on the day we visited, the road was closed. 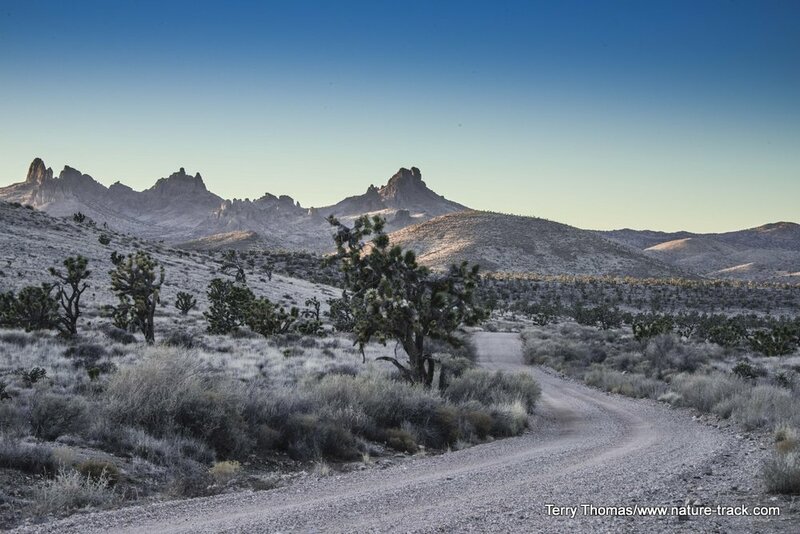 So, we took the highway toward Searchlight, Nevada. With Searchlight in the distance, we turned onto Walking Box Road (there is a big sign at the turn off) and traveled about 10 miles on a decent gravel road to the monument entrance sign. We continued on for several miles but ran out of daylight. That was all we could see in a single day, starting from Laughlin, Nevada at around 0600 and jumping on Interstate 40 headed west from Needles, California, by about 0630. We could have turned off and gone into the mountains to Mitchell Caverns almost in the center of the Preserve, but unfortunately, this state park is only open a few days a week and you need reservations to go through the cavern. We hope to return and camp for several days or even a week in order to see all there is to see. 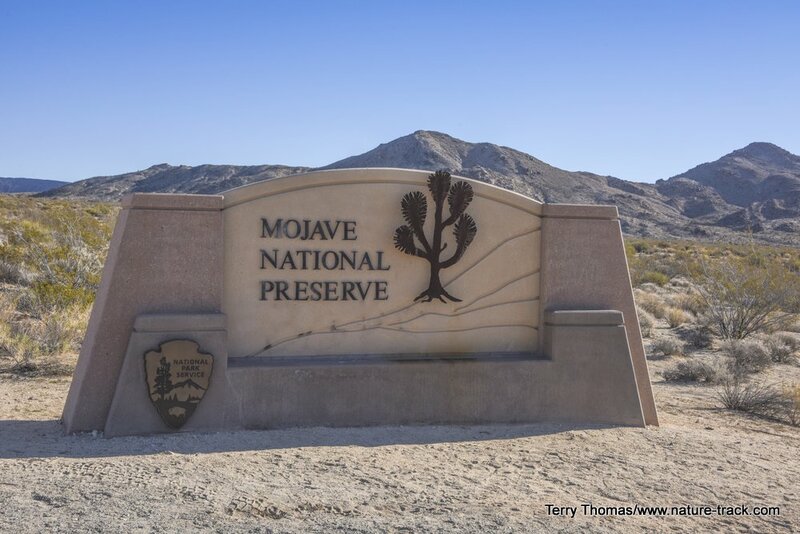 The Preserve website states that March and April are the best times for the wildflowers (desert tortoise should be active by then as well) and that is when we hope to return, it just may not be this year.